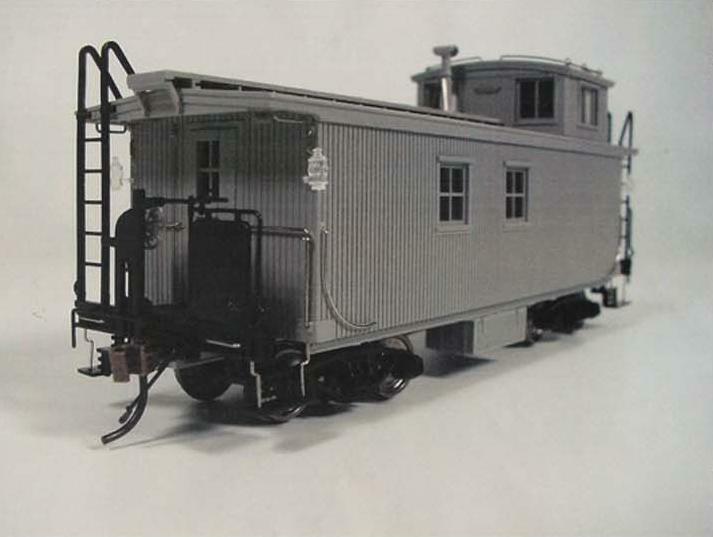 Announcing the finest model CN caboose ever produced. 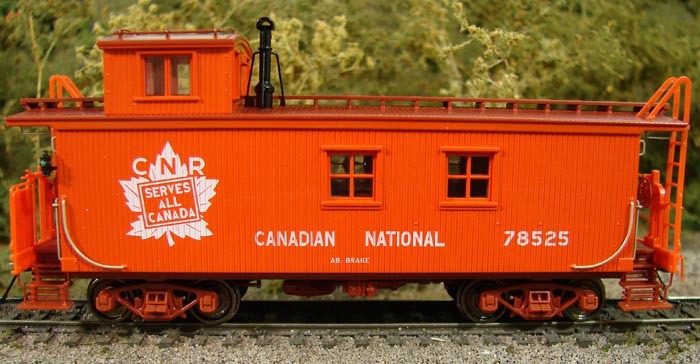 The Canadian market has never seen a caboose that so correctly defines the thousands of cabooses used by Canadian National. 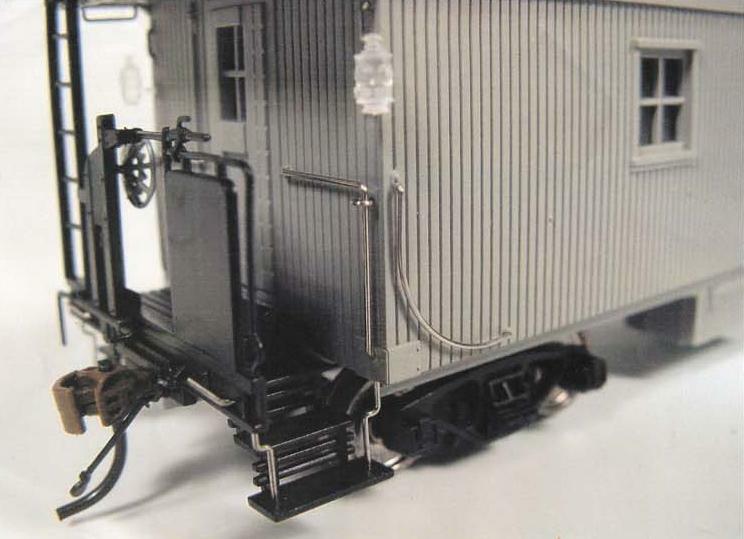 These cabooses have correct roofs, ends undercarriage as well as other GREAT perfections. Only the limitations of the molding have limited our ability to produce these incredible cars, Features: Prototypically correct for CN, Correct era roof panels, Correct era ends, Hand applied parts, TLT RP25 Leaf spring truck frames, Blackened ribbed back dofasco wheels, Mchenry #43 scale couplers, The finest and most crisp decorating you have ever seen. Reservations must be due in to PWRS on or before October 10th, 2006 to guarantee your order, Sets will be sold as 4 car assortments only. See below for details. Some photos you do not see will be added soon. 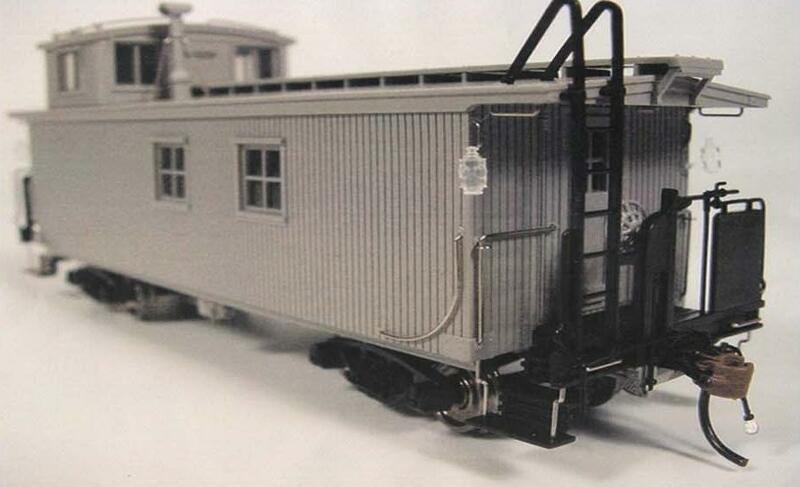 Dear Customers: We have just received test shots of the new CN Caboose from TrueLine Trains. Enjoy! 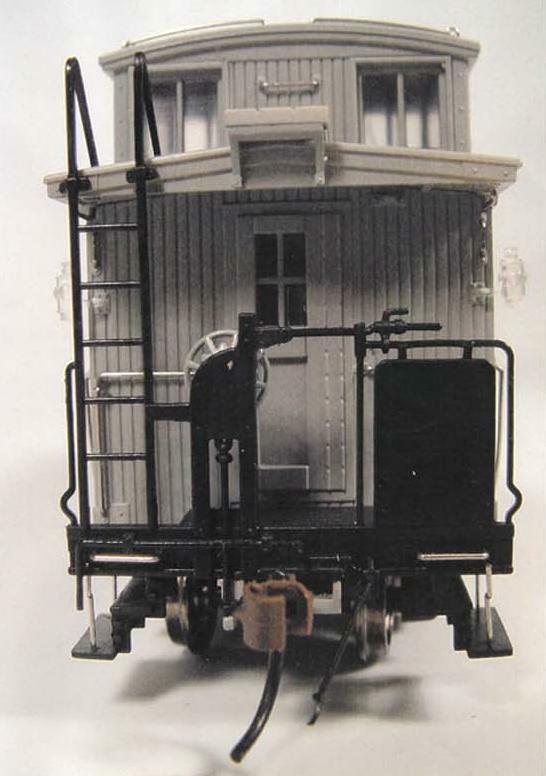 CNR 78307 is painted in the all Mineral Brown / CNR Red No. 11 color scheme. This scheme was applied from the CNR's ca 1920 inception to perhaps as late as 1946 and likely could be found in-service as late as 1954. Photo from the John Larue collection. 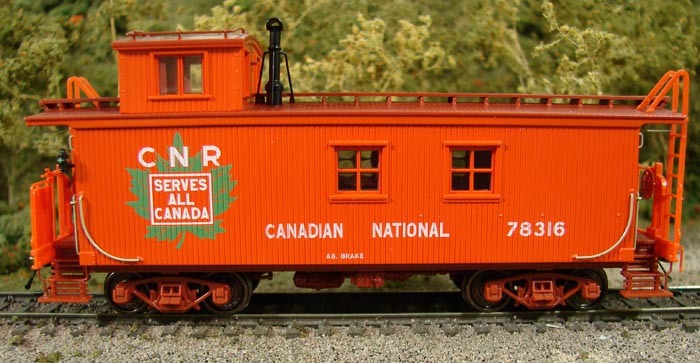 CNR 78403 is painted in the Morency Orange with Tilted White Maple Leaf Monogram scheme. This scheme was first applied in December 1943. It is quite possible this 1943 application was only an experiment and thus the full implementation was delayed to late 1945 or 1946. This scheme was applied until late May 1954 and could likely be found in-service as late as 1961. Photo by Robert Wanner. 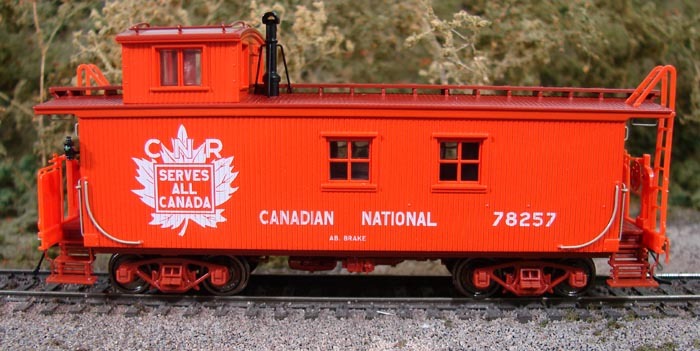 CNR 78792 is painted in the Morency Orange with Horizontal All-White White Maple Leaf Monogram. This scheme was first applied in late May 1954 and is shown in its most common variation of this Monogram. There were also instances where the large "N" in CNR was left in the background Morency Orange color (i.e. similar to the treatment of the large "N" in the earlier Tilted Maple Leaf Monogram). It should also be noted that all the later Horizontal Maple Leaf Monograms were considerably taller than the earlier Tilted Maple Leaf Monogram (75 inches versus 64 inches). This scheme was applied for approximately 18 months until mid November 1955 and could likely be found in-service as late as 1963. Photo from Howard Ameling collection. CNR 79017 is painted in the Morency Orange with Horizontal Green No. 12 Maple Leaf Monogram. This classic scheme was adopted in mid-November 1955 and was applied until 1960 when the Green No. 12 portions of the Maple Leaf Monogram were omitted. This interim change was presumably due to the impending change to the "CN" symbol, and, as well, to achieve cost savings. This classic scheme could likely be found in-service as late as 1967. 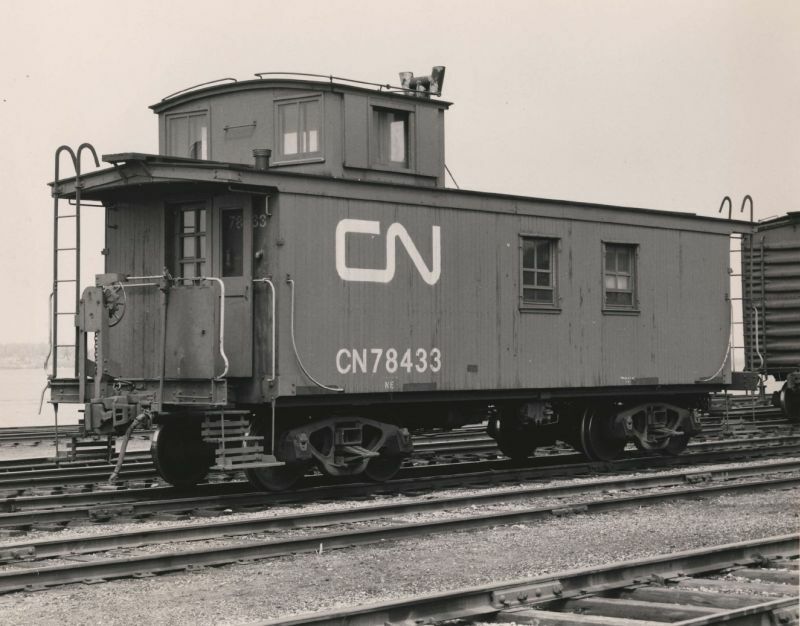 That said, now "CN" was clearly on a mission to rapidly eliminate the more visible elements of the old "CNR" including the livery of its cabooses. CNR 788433 is shown painted in the initial Orange-Red version of CN Orange No. 11 with the "CN" Symbol" logo and CN's new standard lettering font. 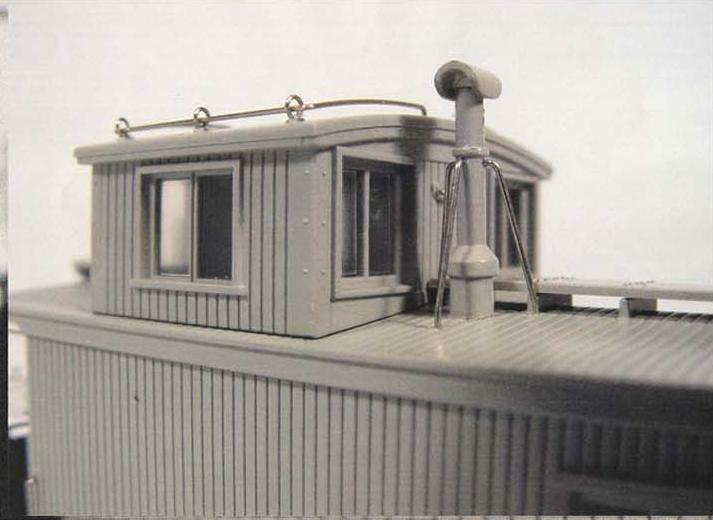 This respected and well-remembered scheme began to be applied to cabooses in mid-1961. 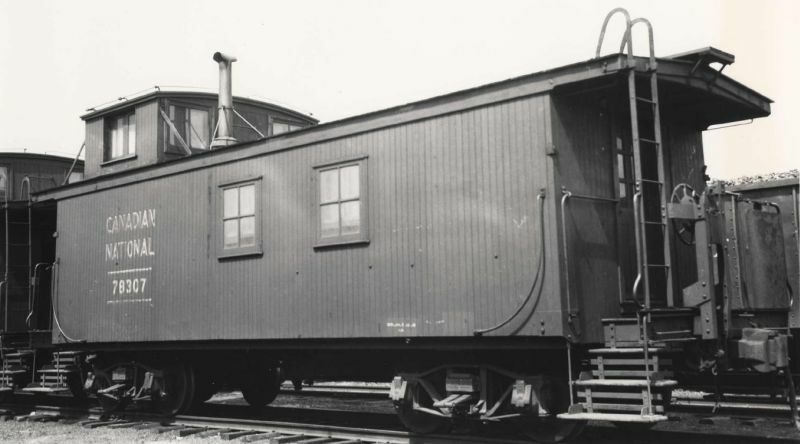 From that point forward, CN "CN" was clearly on a mission to rapidly eliminate the more visible elements of the old "CNR" including the livery of its wood-sheathed cabooses. Thus examples of even the last Morency Orange and Maple Leaf scheme were rare by 1969. Photo courtesy of Shaun Arthur collection. CN cabooses 78811 and 79034 were drawn from CN's Western Region roster and repainted in 1962 at Port Mann BC into the livery of the CN-owned Great Slave Lake Railway. That livery used CN Yellow No. 12, Black, and the recently introduced "High-Visibility" font invented by CN's Research Department to enhance railway worker's ability to read equipment numbers on the fly. These two cars were apparently the entire GSL caboose fleet. CNR 78822 is shown painted in the later Red-Orange 1968 to 1978 version of CN Orange No. 11 with the by then familiar "CN" Symbol" logo. As stated elsewhere by 1969 the last Morency Orange and Maple Leaf scheme were rare. Photo courtesy of F. David Shaw Collection. collection.